"Publishing" is the process which takes the content you create in the WCMS and translates it into web pages. Usually this also means that the content you publish is made available for public view. Depending on your setup, you may also have the option of publishing to a private "test" website, making it possible for your team to proof thier work before making it available to the public. 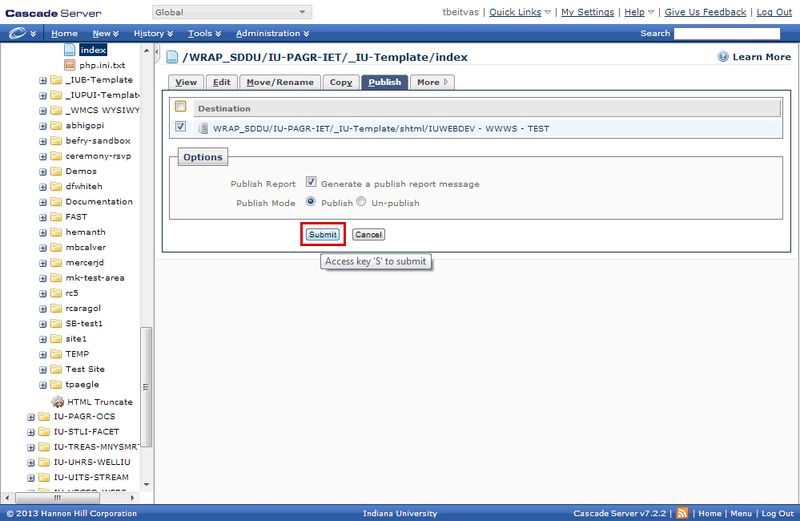 Step 1: Navigate to the file or folder in the left navigation pane, click the down arrow next to a file, then select Publish. 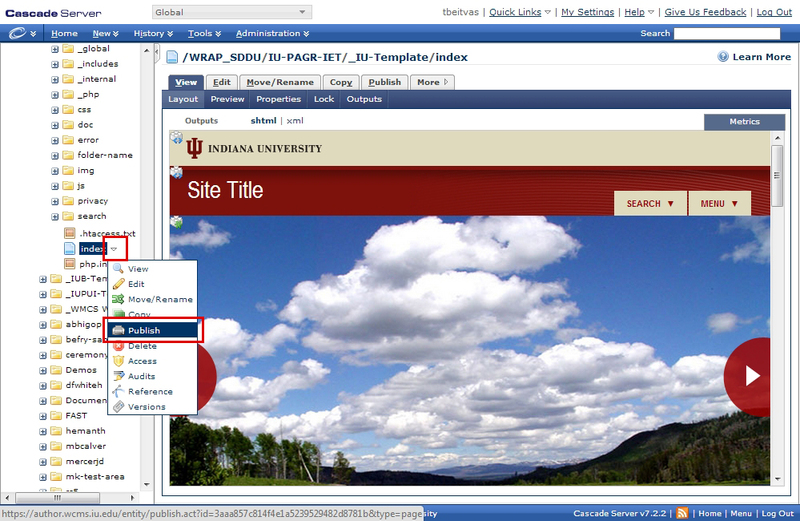 Step 2: To Publish, select the "Publish" toggle button, then click Submit. Step 3: To Un-publish, select the "Un-publish" toggle button, then click Submit.